IRAs allow option trading with some conditions. 3. How Do Covered Stock Options Work? Individual retirement accounts come in two basic types. 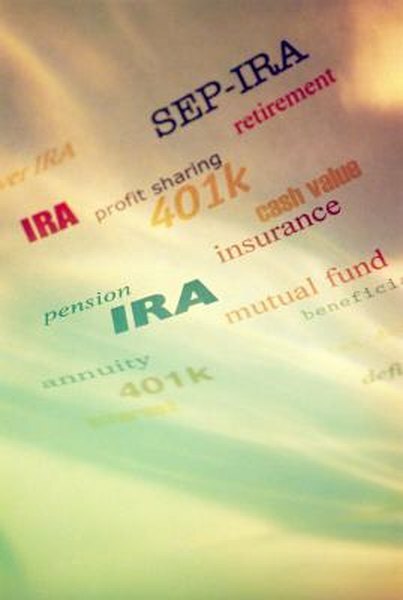 A traditional IRA allows you to contribute money for retirement and defer taxes until you withdraw the money, while a Roth IRA allows you to shelter the earnings from after-tax contributions from taxes when you begin withdrawals. Both types of accounts permit a variety of investments, including stocks, bond, mutual funds and -- with some restrictions -- publicly traded stock options. A call option is a contract to buy 100 shares of a stock at a specified "strike price," until the option's expiration date. A Microsoft November 2013 35 call, for example, gives you the right to buy 100 shares of Microsoft stock at $35 a share, at any time until the expiration date in November, 2013 (usually the third Friday of the month). If the price of the underlying stock rises, then the option value also increases. If you've bought the option, you can sell it at a profit or exercise it and buy 100 shares of the stock for $35 a share. If Microsoft stays below $35 a share, the option will eventually lose all of its value and expire worthless on the expiration date. Although options represent a risky and volatile investment, selling covered calls is a relatively conservative strategy. A covered call means you already own the stock: your position is covered and you only risk having your shares purchased or "called" at the strike price. When you sell the call, you collect the option premium; if the stock rises above the strike price, you can either buy the call back or allow the option to be exercised on the expiration date. If the stock stays below the strike price, then the option expires worthless and you keep the premium for a profit. You can then sell another covered call with a later expiration, using the strategy to generate more income on the stock you own. There's no ban on options trading per se in an IRA account, but there is no margin trading permitted, and some option strategies involve margin, which is borrowed, at-risk money. Selling a "put," for example, gives the buyer the right to sell stock to you at a certain price; if the put were to be exercised, you would have to come up with (or borrow) enough money to buy the stock, which might well exceed the annual contribution limit set by the IRS for your particular IRA account. Covered calls don't involve margin and would only force you to sell, never buy, shares which by definition you already own. Therefore, to use covered calls you only need the authority to trade options from your account custodian. If you have set up your IRA as a trustee account, you have given authority to a trustee to handle the account investments. This arrangement would normally prohibit any options trading. A custodial or self-directed account, however, is one in which you make the investment decisions. You may trade options in a custodial account as long as the brokerage or bank handling the account has granted options-trading authority, which for covered calls usually involves reading and signing a disclosure form. How do I Move Shares From a Taxable Account to an IRA?